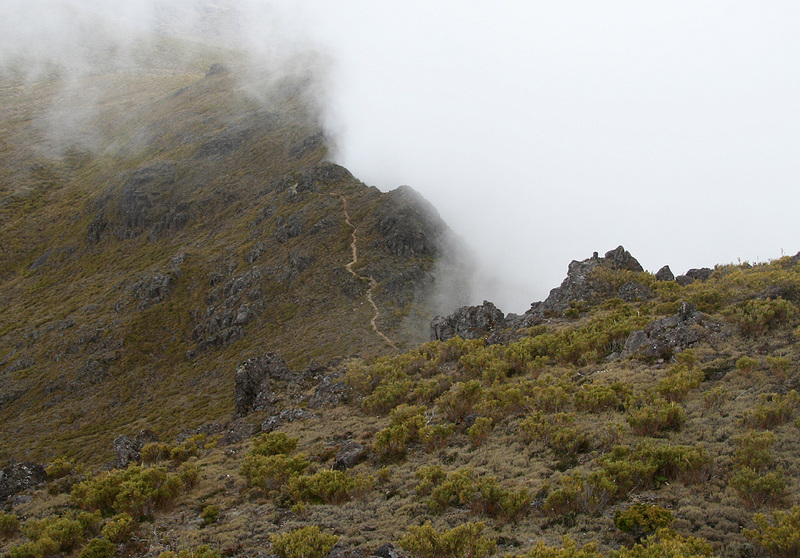 Route description: From the mountain hut that serves Cerro Chirripo, head up the trail in the direction of Chirripo. Quite soon, you will arrive at a trailfork. There is a big sign here saying that the trail to Cerro Ventisqueros forks left. Take this trail. The path climbs the hillside, first pretty steeply, later more gradually. 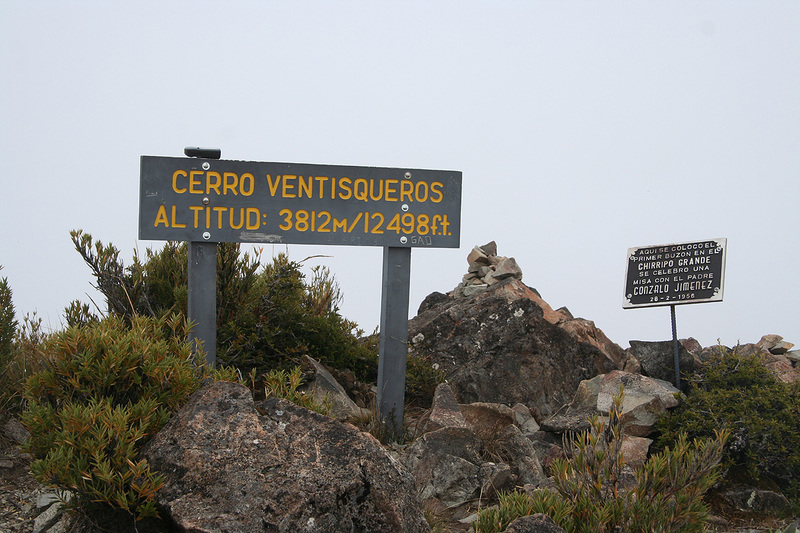 You will have Cerro Nuevo, elevation 3710 meter, on your right while climbing what appears to be a fairly gentle summit ahead. This summit is approximately 3760 meter at location N09:28.339, W083:30.355. 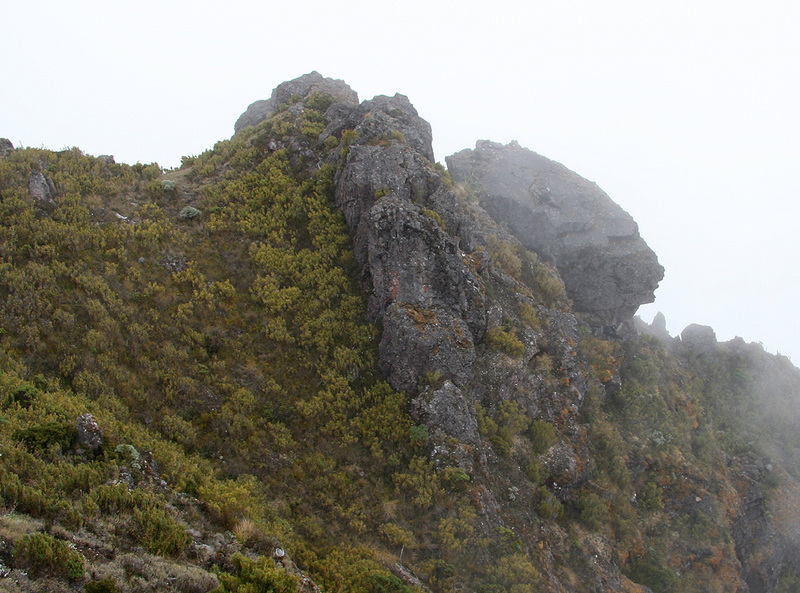 However, when nearing this point, one sees a higher summit further out connected to where you are by a somewhat more distinct ridge that has a few small ups and downs. 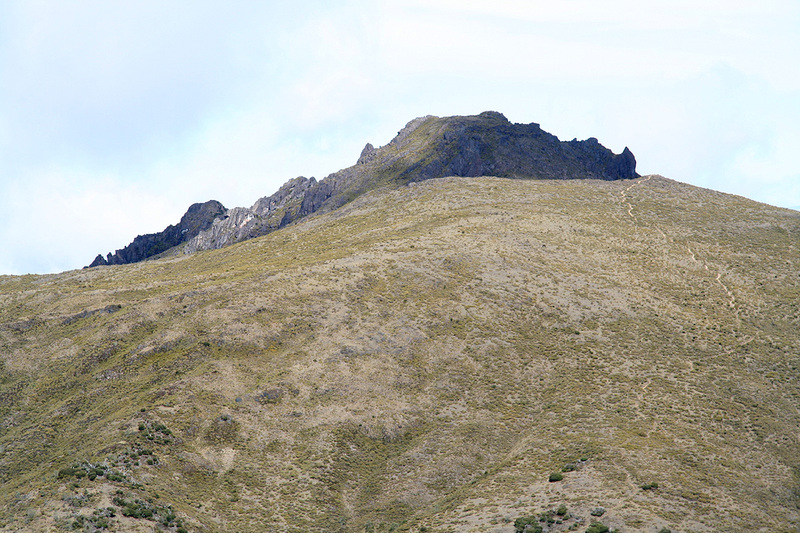 The trail proceeds near or along the top of this ridge then climbs the final slopes to the summit of Cerro Ventisqueros. Ventisqueros, as seen from Cerro Terbi. The ridge trail, as seen from the summit. View across the valley, while descending.